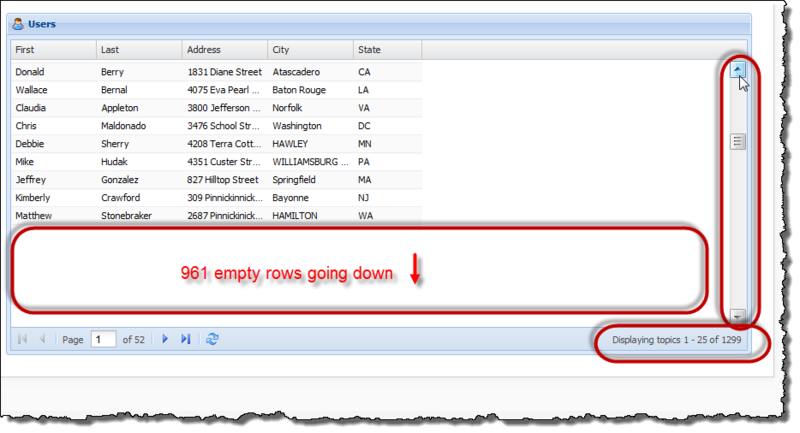 HomeSearching XPages REST service and returning the real count in the results. Nice workaround to a bug in the REST service, do you know if this bug exists in Notes 9? couldn’t you just get the number of array entries instead? Something like ‘items.length’ instead of all the messing about with columns and extra FTSearch? If I understand you correctly – If I was loading everything at one time then yes it would. But in my case this would not help me with paging or infinite scrolling because I am not loading the whole data set in one go (only 25 at a time). You’re absolutely right, I missed the “load them as necessary” bit (need more coffee). Does the FTSearch give you a big overhead? Could a separate REST service be used to get the total, would it be any better? It appears not to give any noticable overhead – i am sure there is on but the over all response is within 50 milliseconds so I am ok. I also have a relatively small dataset – no idea what the impact would be if you were scaling to 100,000 docs. A separate service would not work because the way the grid looks for the “total” appears to be based on the dataset being used by the grid. Do you have a tips to display the icons? Especially display icons that depend on the value of one or more fields of the document. In time yes, but it would take too long to describe in a comments section. 🙂 It can be done though. In the end I decided to build me a personalized service with xe: customRestService so easy for me to manage the icons is that the relationships between documents. Just a thought… you don’t have to quite re-write the rest service from scratch if you go the java route – although it is a bit more work that this…. 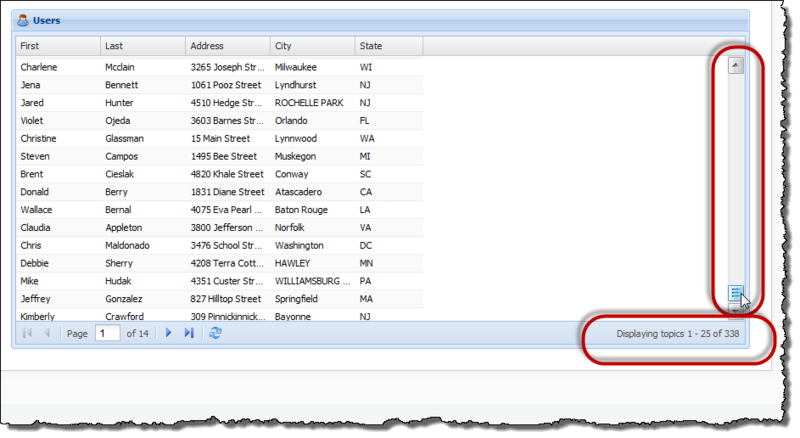 You need to create a custom database servlet by extending the base servlet class in the extension library. The documentation here is pretty good and walks you through it… http://goo.gl/FysDN . To get your count correct rather than implementing RestViewJsonService as it does in the example, simple create a class that extends RestViewJsonService .. lets call it MarkysJsonService, and override the getCount() method. If you look at the source for ResetViewJsonService here http://goo.gl/Bb1FI you will see there are a bunch of simple functions you can override (sort order, search, view name etc), just override each of them as needed to parse the URL extjs passes in and you are good to go. This blog has become for me a point of reference for those who develop in domino + extjs. There will be some example for creating or editing a document?